The tragedy and violence of Gallipoli provide the climax to this very personal, moving and surprisingly romantic story. 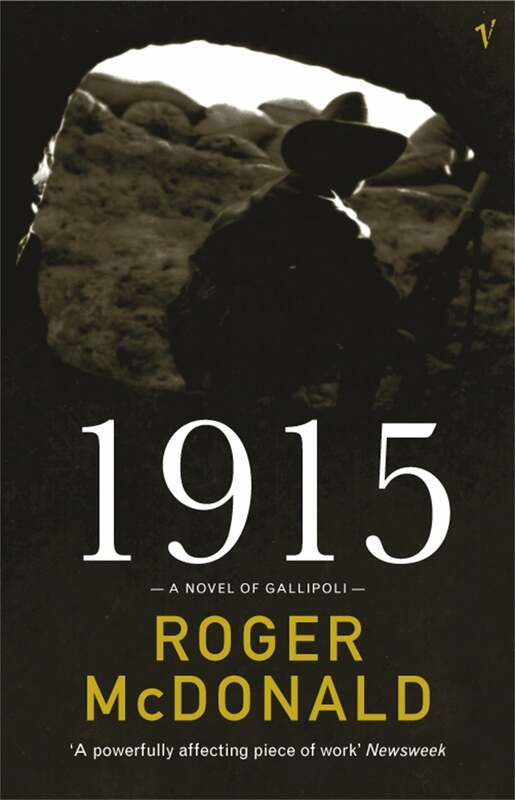 With remarkable skill and in achingly beautiful prose, Roger McDonald takes the reader on an archetypal Australian journey which parallels the nation’s progress from its country childhood, through the adolescent exuberance of its young cities, to initiation on one of the world’s ancient battlefields. It is a vital journey, haunted by menace and disillusionment, one embedded in our national mythology. This astonishing first novel, published to great critical acclaim in 1979 and since then selling over 100,000 copies, tells the story of two boys from the bush, the thoughtful and awkward Walter and his knowing friend Billy Mackenzie, and their girls Frances and Diana. Together they discover a future which seems full of promise, drawing them into the exciting turmoil of passion and war. But theirs is a fateful alliance, in a world all too quickly passing, with an outcome they never could have foreseen. Winner of The Age Book of the Year Award and made into the highly successful eight-part ABC TV mini-series. Roger McDonald was born at Young, NSW, and educated at country schools and in Sydney. He began his working life as a teacher, ABC producer, and book editor, wrote poetry for several years, but in his thirties turned to fiction, expressing the feeling that for him, at least, poetry was 'unable to express a full range of characters and moods, the larger panorama of Australian life that I felt was there to portray'. His first novel was 1915, a novel of Gallipoli, winner of the Age Book of the Year, and made into a highly successful eight-part ABC-TV mini-series (now on DVD). Since 1980 McDonald has lived on farms (no farm animals except poultry and a corrugated iron sheep, these days) outside Braidwood, with intervals spent in Sydney and New Zealand. His account of travelling the outback with a team of New Zealand shearers, Shearers' Motel, won the National Book Council Banjo Award for non-fiction. His bestselling novel Mr Darwin's Shooter, was awarded the New South Wales, Victorian, and South Australian Premiers' Literary Awards. The Ballad of Desmond Kale won the 2006 Miles Franklin Award and South Australian Festival Prize for Fiction. A long story that became part of When Colts Ran was awarded the O. Henry Prize (USA) in 2008. His latest novel is The Following.